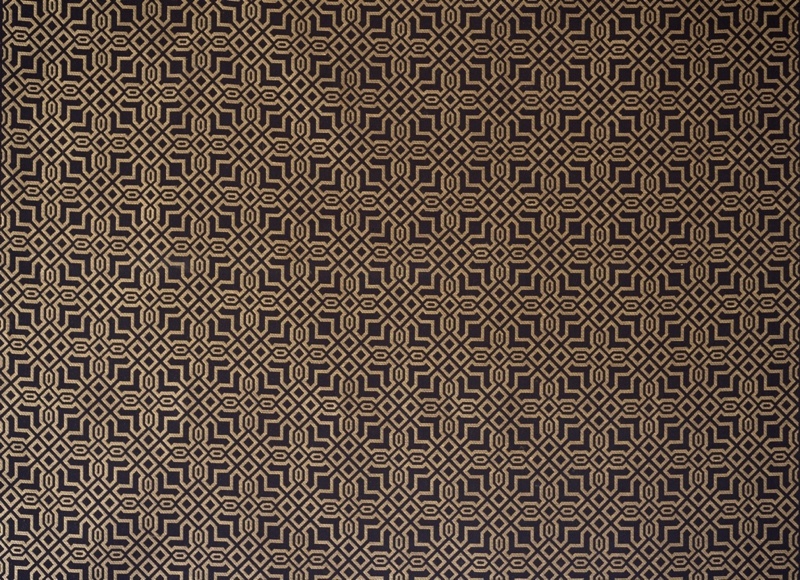 Multiplication of pattern, rearrangement of space; manipulating the repetition until it resembles the so-called "river" patterns of the 18th century. The alliance of tradition with modernity finds its full meaning thanks to a creative autonomy. 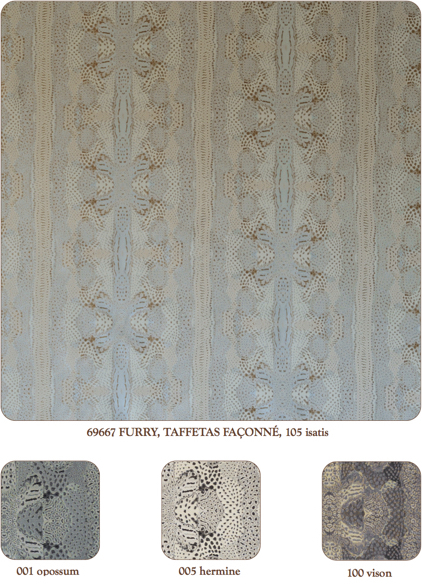 The test becomes convincing; Furry is now an design in its own right. 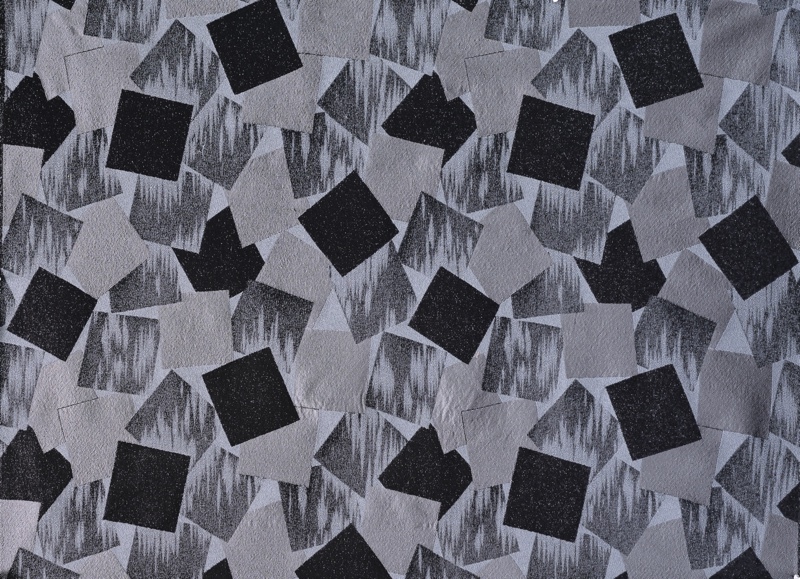 After a lithograph from a collection of drawings by A.BRAUN dated 1842 for the textile industry. 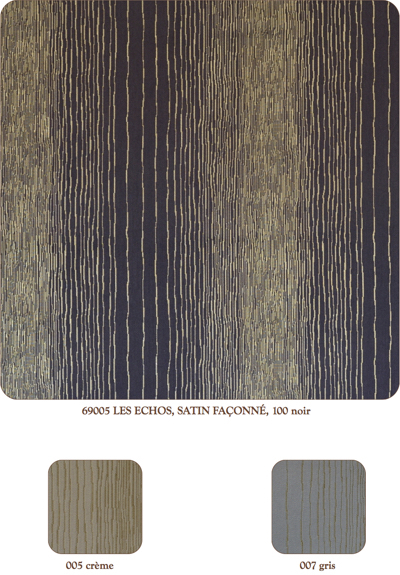 Initially woven with gold bullion and silk yarns, this pattern is a favorite. The original repeat has been retained, the balance of the design respected: bringing new color interpretation to this charming document. Contrasts; interlacing curves offer the possibility of lightness, armed with a strength and delicacy of design. 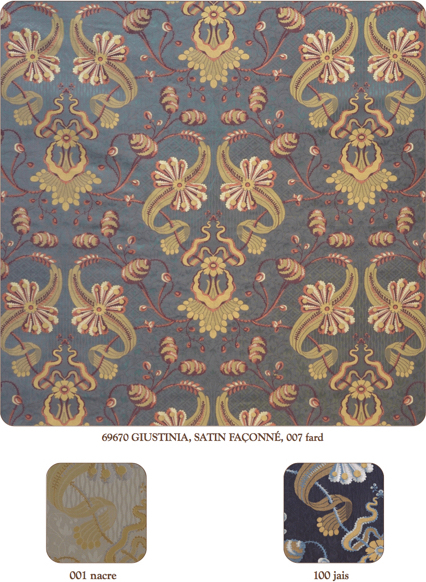 Reproduced from our archive II33142 dated 1750 : a Louis XV style worked in the colorations that nods to Napoleon III. 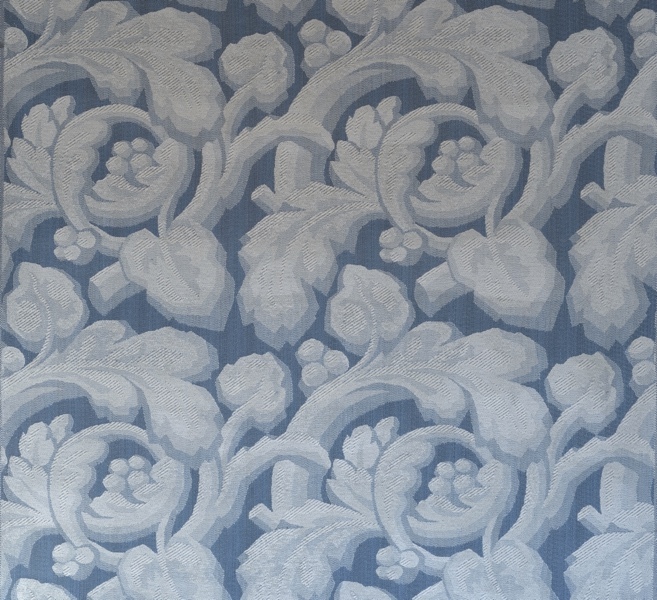 Originally produced in canvas, this fresco, with its large, generous motifs remind us of ancient bas-reliefs. 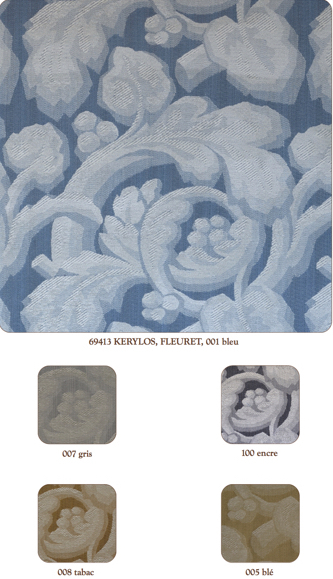 Worked here in silk chenille; Kérylos also evokes the ochers of Provence. 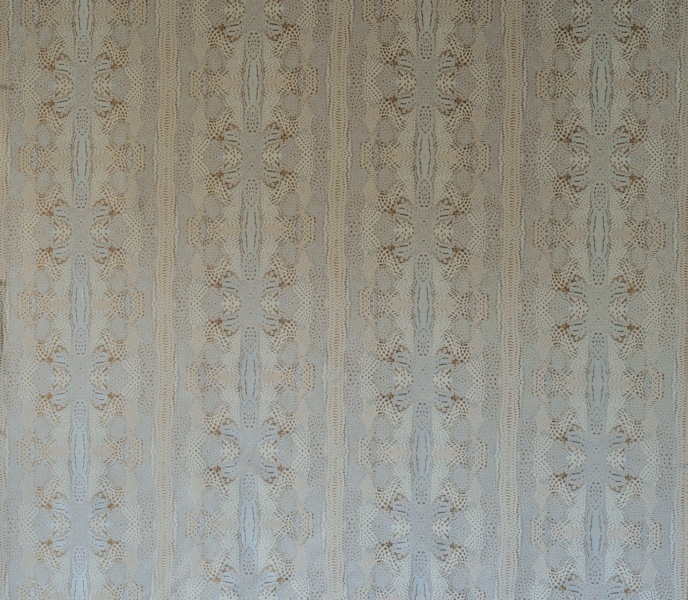 The whiteness of the chenille winks to the color of the crushed gypsum used to plaster interiors from the Middle Ages until the French Revolution. Its hand, smooth and textured – comfortable visually as well as tactilely. Taken from our archive II34277 dated 1930/1940: Art Deco style. Probably originally derived from the great family of 'Aqiq; architectural in principle and reminiscent of the ceilings in sacred places of North Africa from the 9th century as well as Yemen, Iran and India. 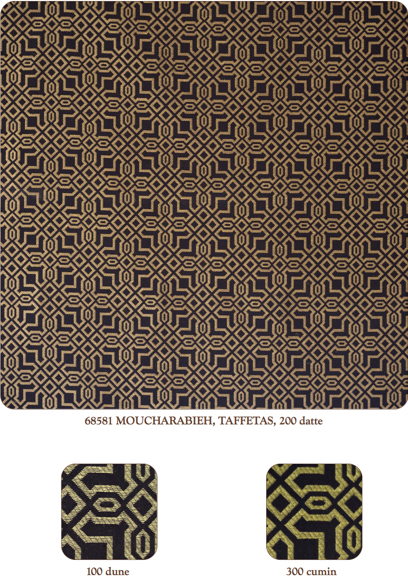 Created from a drawing by our client Carl Paris, from his sketch named Marrakech: Ethnic Design. Timeless though dating from the Deco period; with fine and elegant lines, evocative in contemporary as well as classical interiors. 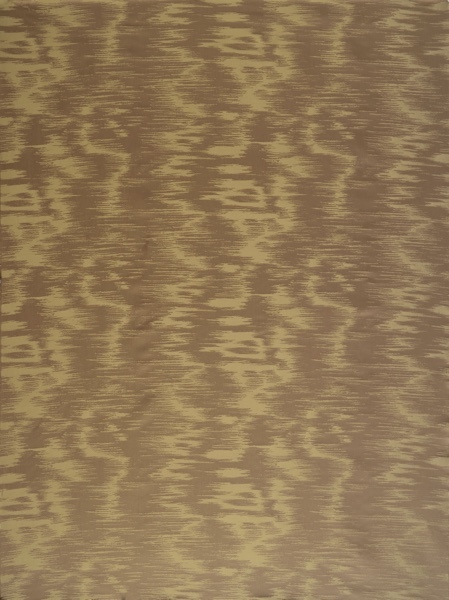 Its verticality used in curtains or wall upholstery lengthens and refines the volume, enlarging a space by playing on the effect of the ceiling’s height. 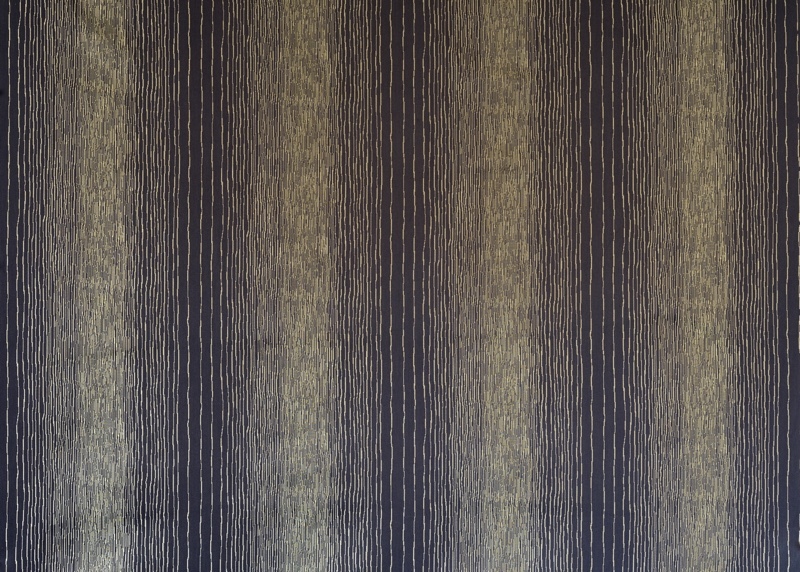 In seating, the lines can accentuate an Art Deco décor. 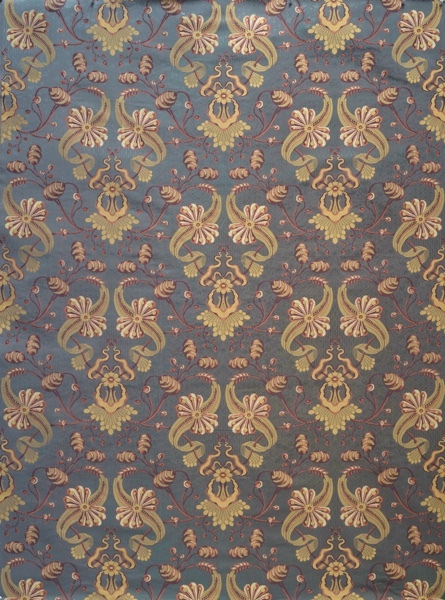 The pattern receives color from another time and era. Reproduced from our pattern EL11415; drawing dated 1930. 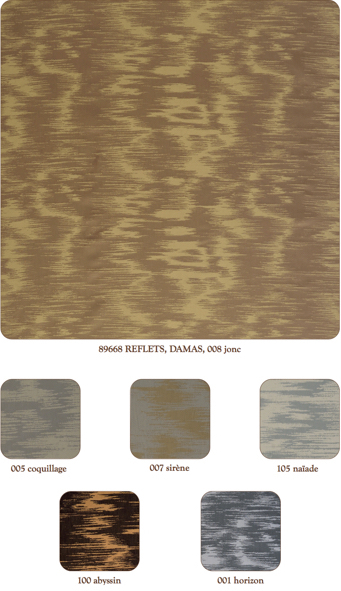 Woven in damas and taken from the original design LES REFLETS; reminiscent of tree bark, mineral erosion, a shadow on arid soil, or reflections on the water. 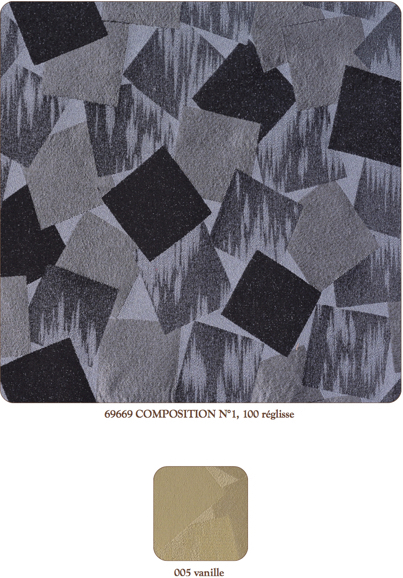 The colorations invite the user to interpret the pattern according to whim and free to associate it with many moods. From to our document JT6234, dated 1930.